Keep Love Present has no Mixed Messages. It is the same Conversation, Motivation, Inspiration, Demonstration, Aspiration, and Determination. It Is: A Universal Conversation! 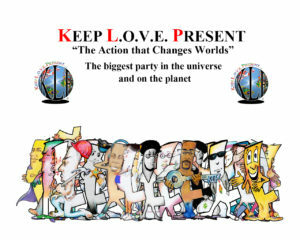 JOIN THE SOLUTION PARTY AND KEEP L.O.V.E. PRESENT. SOLUTION is about the MIX, the BLEND, the MINGLE, the MERGE, and the COALITION. As you and I practice the conversation, the nature, the possibility and the relationship of L.O.V.E., we experience a deeper understanding of L.I.F.E. (Living In Full Expression). Activate (initiate/energize/and start up) The SOLUTION PARTY in your life and include the words KEEP L.O.V.E.PRESENT or KLP… when you say Hello or Goodbye. LEAVE US YOUR KLP COMMENT, GO TO TITLE ON RIGHT SIDE OF POST AND CLICK ON THE TITLE OF THE POST!!!! http://www.keeplovepresent.com/klp2017/wp-content/uploads/2017/03/KLP-Globe-Transparent-Logo.340x323.png 0 0 Jacqueline Rozier http://www.keeplovepresent.com/klp2017/wp-content/uploads/2017/03/KLP-Globe-Transparent-Logo.340x323.png Jacqueline Rozier2017-02-27 17:56:592017-03-05 15:00:02JOIN THE SOLUTION PARTY!!! !